I think it's largely good. I don't really love Harrison, but people move here for the convenience you get for the cost. The apartment is nice overall, but has some odd design flaws. Management has been mostly responsive, some odd administrative confusion that have been resolved. I love my studio. The facilities/ maintenance team is great. The front desk staff is friendly as well. Any questions with management are answered quickly. No complaints! I have been living at Steelworks for 9 months now and am extremely pleased by management, the amenities, the community and my neighbors! I have thoroughly enjoyed every minute of my time here. The concierges, namely Victor and Devon are gentlemen and friendly. I cant wait for the pool to open again! My girlfriend recently moved in with me and we got a dog! I am so so happy to be a resident of Steelworks! Super great community focused luxury apartment complex. All amenities are fantastic and the entire building is super well maintained from a hygiene perspective. Just moved in and looking forward to spending more time here! We just moved in and we’ve loved everything about this community! We can’t wait for summer time so we can hang by the pool and roof top all day!! I love living in Steelworks. The building has great amenities, an amazing concierge, maintenance, and staff, friendly neighbors, and close proximity to PATH. The only downside is the noise from traffic at night. Other than that, this is the perfect place to live! Great amenities, amazing management staff and maintenance. Such and easy commute to the city! Gorgeous units with good bedroom closet size. Great gym!! The property management office should provide better customer service to residents. At times the office has to be called multiple times to have an issue resolved. Enjoying our experience. We renewed our lease for another year! 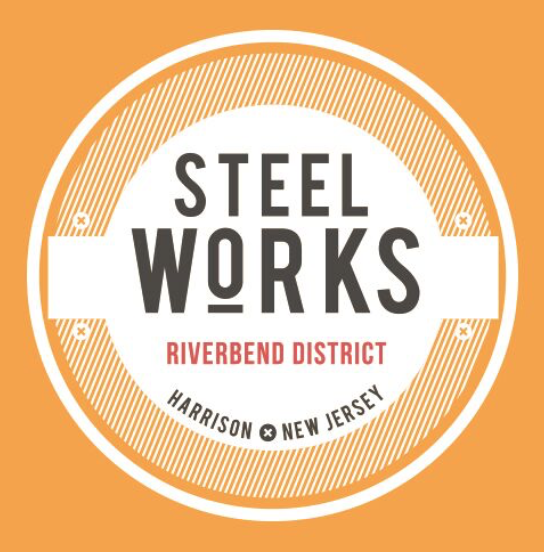 It’s been so nice to call to steel works and Harrison home. Staff is getting a little better with events which has been a concern. Christie H., we strive for 100% satisfaction, and it is great to see you are having such a positive experience. If you have any other concerns regarding events or anything else, please feel free to call or stop by. Have a great day! The complex is very modern and has all the amenities you would ever need. The best part of this place is its' location as it is within walking distance to the train station. The roof top has amazing views with the ability to see both Newark and NYC. Great apartment community, amenities are always improving. Some apartment features are very vulnerable to wear and tear. Other than that, the place is perfect. Jacob Lowell M., thank you for your kind review; we are happy to pass along your comments to the team here at Steelworks! Thanks again for taking the time to leave us this information about our community! I just love this place. And my friends love this place too. I’m proud of my house and the best part, close to public transport. You just have to get ready and walk 3 minutes and you reach the public transport. Front office are nice but a little slow to respond sometimes. maintenance is wonderful. Concierge are great. The floors/walls are thin so I can hear every footstep from my neighbor above. The lights outside the building (the ones pointing on the building) can be rather annoying. The parking garage is rather dusty so cleaning that out would be nice. Hello Ian M., we appreciate you taking the time to leave us this feedback. If you ever have specific concerns, please feel free to give us a call directly or stop by. Have a great day! Pretty nice experience so far. Great people around and very attentive staff. Since the first moment I stepped in the building, I felt like at home. Mgt needs to provide Concierge more information on happenings in the building, details in addition to list. Need fluid communication system/log between concierge shifts so if the concierge you spoke with one day, is not there when you follow up the next, the concierge that is on duty will be familiar with what you are referring to. Concierge is more visible to guests when sitting on the elevator side of the front desk (instead of window side). Think this needs to be the standard. Much better presence and service, the concierge is more engaged, and it is far more welcoming and professional when you walk by the building and/or into the building and actually see someone. This also allows that if other staff (I.e. Dominick or Kenny) are sitting at the desk at the window side, concierge can easily go in/out of back to get racks or packages for tennants. I’ve been living here for almost 2 years and I still love it! There’s always fun activities planned, the staff is friendly, maintancence always gets back to you quick, and the people who live here are super nice! Mallory Susan B., your wonderful feedback and rating mean a lot to us. Have a wonderful day! Awesome food truck choices,always exciting on a Tuesday night to see even the empanada truck mmmmmh delicious empanadas along with the angry orchie . Love living in the area. It has been so easy for me to get around to the city and to and from school. I do wish there was more to do in the immediate area though. Deven P., your wonderful feedback and rating mean a lot to us. Thank you, and have a fantastic day! Hi Clare Margaret M., thank you so much for your positive comments about Steelworks! Please let us know if there is anything we can do for you; we are more than happy to help! The community is great overall. The dog run is always dirty though, only one grill on the roof actually works, and we do not get enough notice about events. Fantastic as always, great staff super helpful, great amenities. Been here almost two years and loving it here. Thank you to the staff for a great living experience. I think my experience at Steelworks has been pretty good for the most part. Coming from Manhattan, there is less to do in the area, which I find is the biggest flaw. The building and amenities are very nice. My apartment on the 1st floor is dark and noisy as I'm next to a utility closet and a noisy neighbor. I think one thing that might help would be for someone to walk around at say midnight during weeknights, just to be sure people aren't blasting there music.